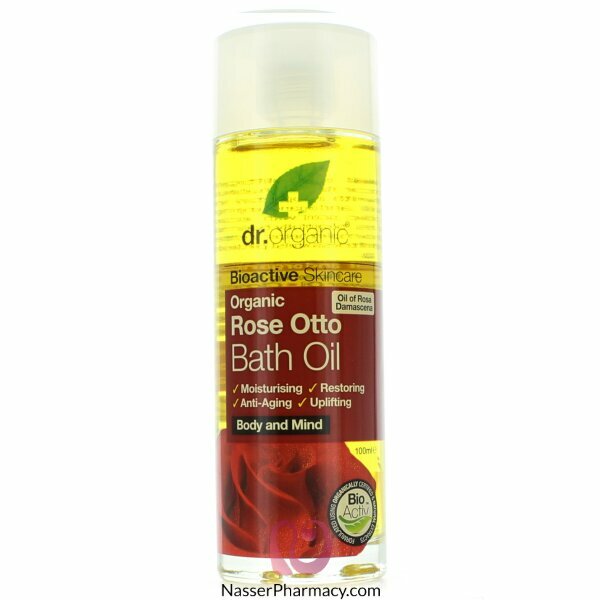 A rich oil that disperses in the bath water, designed to gently restore, nourish and fragrance the body; it combines Organic Rose Otto with Rosehip Oil, Sweet Almond Oil, Soya Bean Oil, Sunflower Seed Oil, Peach Kernel Oil, Jojoba Oil, Vitamin C, Vitamin E plus Geranium and Clove Essential Oils. Luxurious and soothing, this product is uniquely hydrating and restoring skin cleansing treatment formulated to provide the ultimate bath experience . Rich in precious oils and nourishing lipids, it leaves a satin- like softness all over the body while firming and toning the skin. Add 2-3 caps full to bath water. The rose oil will disperse in water.